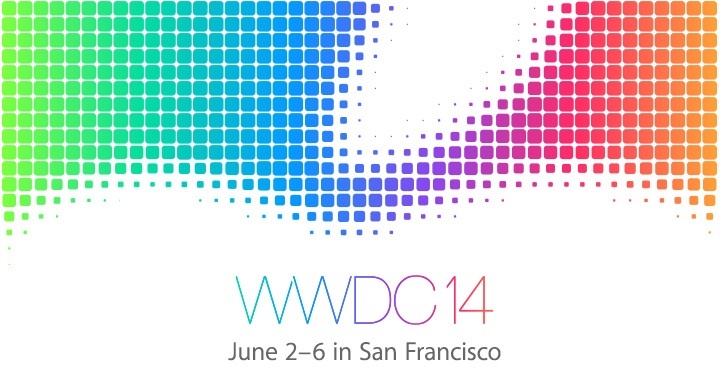 Apple will take the stage on June 2, 2014 to share what will lead to be key points for the second half of the year. WWDC marks the midway point through the year, and it’s where Apple starts to heat things up. For the most part, WWDC doesn’t generally bring too much attention from the public due to the lack of hardware reveals. This year seems to be different, as many media outlets are getting excited for what could be the best conference yet. During Code Conference on Wednesday, Eddy Cue and Jimmy Iovine joined together on stage to discuss the acquisition of Beats, and give a small glimpse into what’s coming. The biggest part to take from the discussion was Cue’s line saying “Later this year, we’ve got the best product pipeline that I’ve seen in my 25 years at Apple.” While this could simply be a PR marketing tactic, Apple does have a lot to prove this year. When iOS 7 launched back in September of 2013, it felt like users either loved it or hated it. There were no middle grounds. The wealth of updates over the last 6 months brought refinement, leading to what seems like a solid build where it is today. Focused mainly around software, the big headlines will be iOS 8 and OS X 10. The software will be unveiled in full detail, giving us a look to what’s coming this fall. Developers will have early access to the software to test over the summer and make their apps compatible. This year is rather interesting because not a lot of stuff has leaked compared to previous years. With the conference only 3 days away, some of the announcements should be a surprise. iOS 8 will be revealed as more of a refinement to iOS 7. Apple designed 7 with a full visual overhaul in mind that will withstand the test of time for years to come. Considering that some UI elements such as buttons were changed with iOS 7.1, I don’t see them changing it again so soon. A couple of new apps will be the highlight, including Preview and TextEdit, similar to it’s OS X counterparts. With Pages being free with every new device purchase, I don’t see what benefit TextEdit will bring to the table, but it leaves room for surprise. The other major new app will be called Healthbook and feature data for things like activity, heart rate, sleeping patterns, and more. This will launch a new initiative from Apple focused on health, fitness, and well-being. There have been a couple rumours leading to where this data could be collected from. The biggest ones are sensors inside new devices, sensors inside new EarPods, or through a wearable accessory. Since new hardware isn’t generally unveiled at WWDC, it’ll be interesting to see how they talk about Healthbook without mentioning how the data is gathered if this is the case. Another enhancement includes Shazam-like functionality built-in to Siri to detect what song is playing. Apple’s Maps will feature public transit functionality, although this could be delayed until it’s perfect. A big new feature is coming to iPad to allow split screen app placement for enhanced multitasking. Similar to the original multitasking unveiling back in iOS 4, it’s a feature that other platforms have been doing for a while, and leaves Apple as the last one to get it figured out. When they do, it’ll have made it worth the wait. OS X 10 is going to be a major unveiling. This new update will bring the two operating systems closer than ever in terms of functionality and now design. While it won’t be a blinding white canvas like iOS, expect to see more flat colours in the menu bars and icons. iCloud might be updated, as it hasn’t seen any action since it’s original release in 2011. Similar to Mavericks, this new update will be free for all users. Apple has set the bar for software pricing and won’t change it. Having everyone on the same software version provides a better experience for developers, and in turn for consumers. Making it free ensures the highest install base. No other major features have been leaked, so expect to see some surprises. Hardware will not be unveiled at this event, so don’t be looking for a new iPhone or iPad. They are planned for September and October right before winter holidays. The current rumours highlight all devices having Touch ID integration, including iPod touch. They haven’t seen an update since 2012 when the iPhone 5 was released. A major concept that was just unveiled recently is a Smart Home platform from Apple. Home Automation has become one of the largest trends in networking over the last couple of years. I have my entire network set up to control my lights with Philips Hue, my home theatre system with Yamaha, and music though the Remote app with iTunes. With other devices including home security, smart door locks such as August, and network management tools, it’s leading to a crowded home screen. Having a centralized platform for all of these devices creates a more integrated experience. The Apple TV is ready for an upgrade as well, but it might not be at this event. A full overhaul of the interface and functionality is rumoured, as well as a partnership with Time Warner to add video content to the device. My biggest feature request would be network sharing and additional file type support to access my media server. It would be an instant day one purchase, as my Boxee Box is getting a little outdated. The last possible surprise is an early look at the iWatch, similar to Apple’s preview of the Mac Pro last year. If Healthbook or the Smart Home platform fully utilizes a wearable accessory, then it’ll have to make an appearance in one form or another. Check back on Monday, June 2 for a full report on the conference. You can also follow @definitivegear on Twitter for a live broadcast as it’s happening if you prefer instant alerts.